WELCOME TO VALLEY BUILDERS LLC. Valley Builders can build the custom home of your dreams. Working with clients to make their dreams a reality is the most important aspect of our business. If you need extra storage, recently purchased a new car, require a workshop and a new garage is the solution then contact Valley Builders. Have you out grown your home? Valley Builders can be your solution. Allow Valley Builders experienced team provide a free consultation to evaluate your family needs and wants for additional square footage. Theres nothing quite like an afternoon on your deck enjoying the beautiful outdoors. Valley Builders is an expert in deck construction, and can provide you a great place to barbeque. If you are in need of a Contractor, Project Manager, & Builder - Valley Builders is your turn key solution. 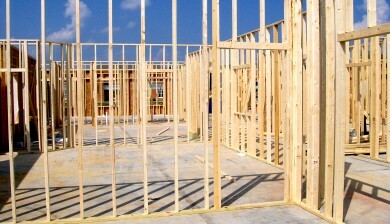 If you are a contractor and in need of a framing crew that is experienced, meticulous and delivers on time then Valley Builders is the best choice. Valley Builders LLC. 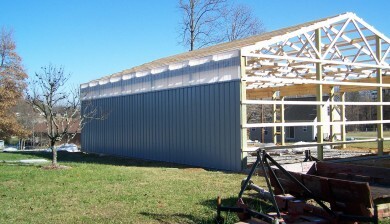 provides construction services to residential customers and local contractors in the Shenandoah Valley. Each relationship is built on trust, manageable expectations, and communication. Every client is treated as if they are family. Valley Builders has worked with clients and contractors as far north as Winchester and as far south as Harrisonburg. Each and every job is held in the highest regard and Valley Builders seeks to go above and beyond the expectations of its client. It looks at every "job" as a relationship and always maintains a "Happy Home." Brian Fitchett and his crew at Valley Builders LLC were simply wonderful to work with from the beginning to the end of our project of building a new three bedroom house in Fort Valley. We had purchased ready-made plans online and Brian ably customized the rooms and walls to reflect our personal needs, in addition to bringing the house plans up to current state and local code. He was very easy to work with and kept us informed of the progress. All the subcontractors and suppliers, as well as his regular crew, did an excellent job and were prompt in correcting any of the problems that arose. The finished house is BEAUTIFUL and we look forward to many happy hours there. We would highly recommend Valley Builders LLC to anyone searching for a reliable and talented contractor. 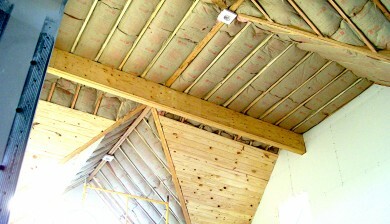 I recently contracted with Valley Builders for two pole barns, one of which was specially designed as an aviary. The crew worked hard every day and I was impressed by the quality of their work. Brian was easy to deal with and committed to meeting the schedule. I am very pleased with my new buildings. Recently my wife and I acquired property outside of Winchester, VA. On the property stood an old farmhouse in poor condition that we needed to remove. We contracted with Brian Fitchett of Valley Builders for the demolition project that presented several challenges: protecting existing structures, a stone lined well, and various trees and bushes. Brian and Justin did an excellent job of removing the house and restoring the site to our specifications. In spite of the bad weather the work was completed on time, and the site is clean, level and ready for grass in the spring. 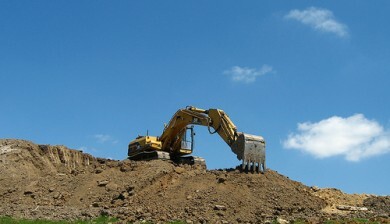 Valley Builders will certainly be on our bidders list when it comes time to build our home. Brian and his team at Valley Builders built a detached garage for me. His team was hands on throughout the project and addressed every question and concern we had. Thanks again for your services. Highly recommended. Everyone told my husband and myself when we started talking about building a house to prepare for unmet deadlines, long waits and huge amounts of aggravation. Working with Brian Fitchett, owner of Valley Builders, LLC, has been one of the best experiences we have ever had with a business. Brian was always accommodating, on schedule if not ahead of schedule, upfront and honest with us from beginning to end. He has a strong work ethic and maintained a solid trusting relationship with us. We were extremely happy with his work and would recommend Valley Builders, LLC time and time again. Copyright © 2019 VALLEY BUILDERS LLC.